ITAHARI, Jan 30: Departmental team Nepal Police Club has advanced into the semifinals of the ongoing second Madan Bhandari Memorial International Invitational Gold Cup Football Tournament with a 2-0 win over Bhutan’s CFC Club in Itahari on Tuesday. 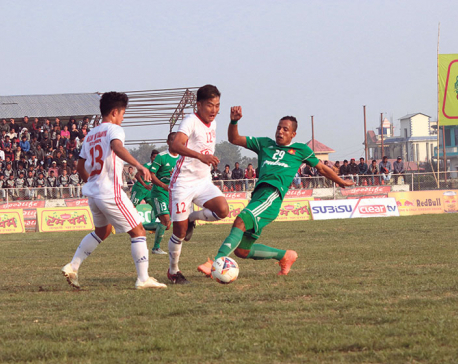 In the last quarterfinal match played at the Itahari Stadium, a brace from Abhishek Rijal helped the departmental team advance into the last four. Despite denying Police from scoring, CFC could not withstand the pressure from the departmental team. Rijal scored his first goal in the 63rd minute and completed his brace in the first minute of the injury time. Rijal converted in a cross from Tirtha Rana which struck the post and went in, while he scored a solo strike for his second. Rijal was named the man of the match for his brace and was rewarded with Rs 10,000. With the win, Police will now take on the A-Division League champion Manang Marshyangdi Club in the second semifinal match on Thursday. 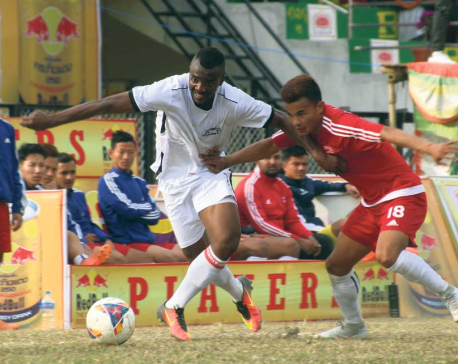 It was the first time CFC played a tournament in Bhutan. 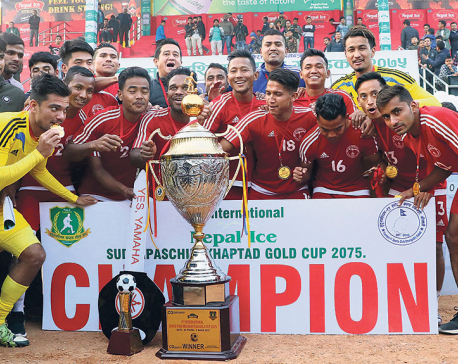 Earlier, it had played Gold Cups in Biratnagar, Dharan and Pokhara. It had played the Budha Subba Gold Cup in Dharan, while it played Pokhara’s Aaha Rara Gold Cup two times each. Also, it had played in Ilam and Dhankuta once each. However, it has not been able to lift a single trophy as it mostly gets knocked out of the tournament from the first round. He also added that after scoring the first goal, the team scored the second because of playing in the same rhythm. Bhutan coach Bikash Pradhan said that playing first time in a different ground and not being able to bring the full team cost the team the game. “The confidence of the other players went down when three foreign players could not come due to visa problems. We needed experience in playing in that ground, so that cost us too,’’ Pradhan moaned. 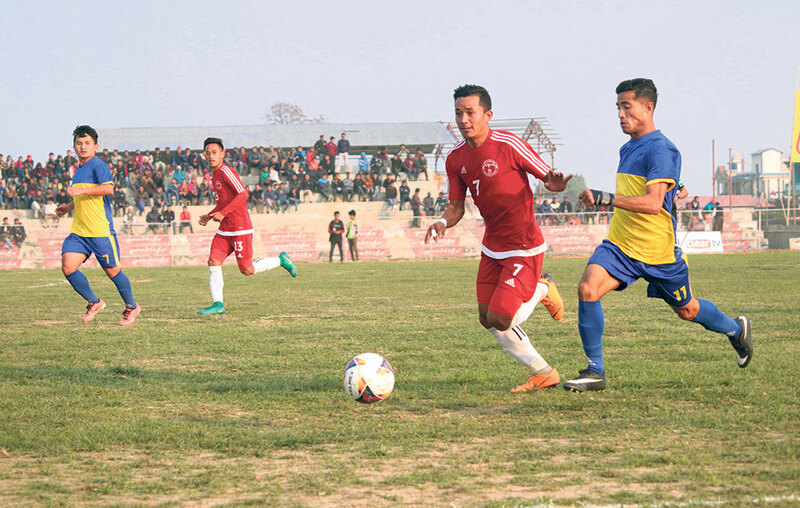 The other departmental team Tribhuvan Army Club will take on Mechi Netralaya Kakarbhitta Football Training Center in the first semifinal on Wednesday.